The founder of the Ghana UK Based Achievement Awards, (GUBA) Dentaa Amoateng, has been awarded an MBE by Her Majesty the Queen of England, Queen Elizabeth II during her 2016 Birthday Honours. 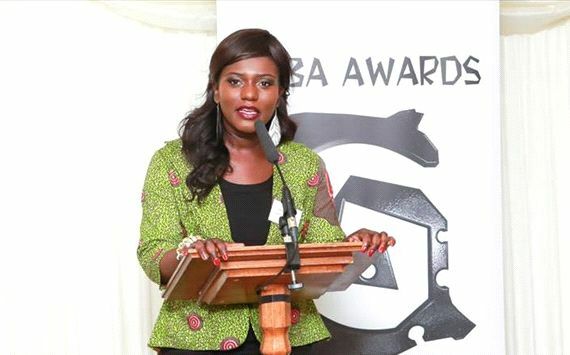 A statement said “The British High Commission Accra is delighted to confirm that Dentaa Amoateng, founder of the Ghana UK Based Awards (GUBA), has been awarded an MBE in Her Majesty The Queen’s 2016 Birthday Honours”. Dentaa was awarded her MBE – Member of the Most Excellent Order of the British Empire – as recognition of her services to UK-African Diaspora relations, through her work with GUBA. The GUBA Awards is an annual awards ceremony based in the UK, which recognises the ‘hugely significant’ contribution that British-Ghanaians make to society. Dentaa founded the awards in 2009 as she felt that there was “nothing out there” that promoted and celebrated the hard work and successes of British Ghanaians. After receiving the news of her honour, Dentaa stated; “I am truly honoured and delighted to have been considered for the Member of the Most Excellent Order of the British Empire. This recognition is beyond my imagination and I am so very grateful for the honour. “Improving African affairs within the UK is the main objective of my organisation – GUBA Enterprise – and my team. I share the honour with them to reflect our continuing commitment to maintaining and advancing relations”. The GUBA Awards is intended as a platform to showcase and celebrate excellence and achievement within the British-Ghanaian community. It is a non-profit organisation which donates proceeds towards charitable schemes operating within the Ghanaian community, and provides an engaging platform for promoting greater cultural diversity in the UK, as well as raising the profile of Ghana.